How can I help NIAD? 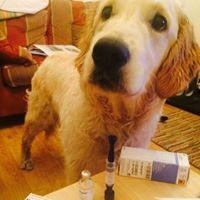 We are a volunteer team who are dedicated to improving the quality of life for people who have Diabetes & have lost their hypo-awareness by training dog's to alert them before their blood sugars fall to a dangerous level. We can only accept applications from within N. Ireland for a Diabetes Alert Dog. We are currently accepting applications from adults and young persons from the age of 16 (under 18 must have parental consent). For further information please contact us by e-mail using the contact form on this site. Following recent publicity we currently have a significant waiting list for application forms and, to be fair to everyone, we are sending forms out in batches in order of contact. Please be patient - your application will not be disadvantaged by any delay. We are always pleased to come along and talk to your group about NIAD and the great work that our dogs do. 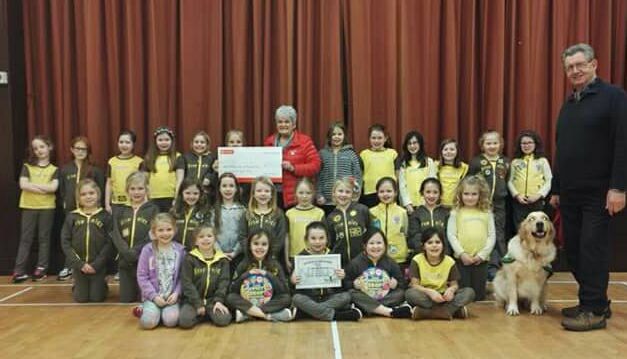 We have visited Brownie & Cub groups to help with their badge work, Diabetes Support groups & local community and church groups. One of our Diabetes Alert Dogs usually accompanies us. Please note that we can only attend evening talks - our presenters have full time jobs outside NIAD. We don't charge for our talks however a donation/small fundraising event is always welcomed & greatly appreciated. If you would like to book a NIAD speaker please get in touch using the Contact Us form.